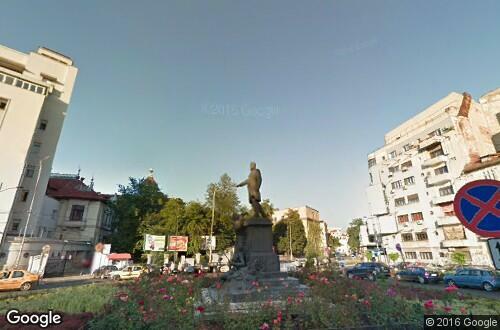 The bronze Statue of Alexander Lahovari on Lahovari Square honors the 19th century Romanian Minister of Foreign Affairs. The bronze Statue of Alexander Lahovari on Lahovari Square honors the 19th century Romanian Minister of Foreign Affairs. It depicts Lahovari atop a pedestal, with allegorical figures of Danube and Romania Agricole at the base.